According to the research of Shawn Achor, Co-Founder and CEO of Goodthink, Inc., feeling joy and positivity raises every single business and educational outcome we know how to measure. And, good news: we are largely in control of our own positivity. However, many of us have to retrain our brain to become more positive. Through neuro imaging, we know our brains process 40 pieces of information every second. However, our environments are presenting 11 million pieces of data which means we are processing only a few snowflakes amidst a blizzard. For most of us, our brains have been programmed to process threats and frustrations first. And, upon identifying threats and frustrations, our brain scans for more threats and frustrations. Thus, our brains have no capacity left to process things we are grateful for or to appreciate the meaning we are building in our lives. So we have to re-train our brains to process the positive. This exercise teaches your brain to redirect resources to passively scan for things which are going right, rather than just threats and frustrations. According to Achor’s research, participants who tested as pessimists at the start of this study tested as low-level optimists after 21 days of doing this daily exercise. After 6 months, those same participants tested as moderate optimists. 2. Gratitude Jar– Take it one step further. 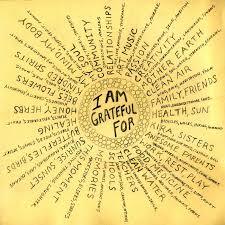 Every day for 21 days, write down three things you are grateful for and why. Collect the pieces of paper in a clear glass jar, so you can see them accumulating over time. Then, when the jar is full, read through them all again and re-live the moments. Enlist family members, co-workers, significant others or friends, and read each other’s moments of gratitude. Three weeks from now you will experience greater levels of happiness, meaning – and success! – in your work and relationships. Selling Your Home During Winter?? ?